Bad: you might feel congested while the iPhone screen falls short of handling your wide array of creative thoughts. 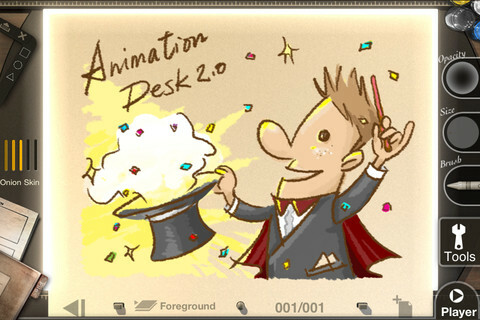 The world of an animator is completely different from the one we are living in. His mind is completely dissolved in the virtual imaginations that are alien and elementary. Then, the script demands perfect software to polish that thought so accurately to have brought its actual real version in the market. Though the professionals share a direct contact with that expensive software, it is beyond reach for a beginner who has the same caliber with empty pockets. To support that amateur class and guide them to the right way, a new super power has just landed the App Store. We are talking about the new iOS app, Animation Desk for iPhone that has been developed by Kdan Mobile Software and requires iOS 4.0 or later. The app is a scale down version of the popular app for iPad and enables the user to create quick and nice animations without much effort. Apart from your creative part, the app provides you much ease for the latter stage of the process. 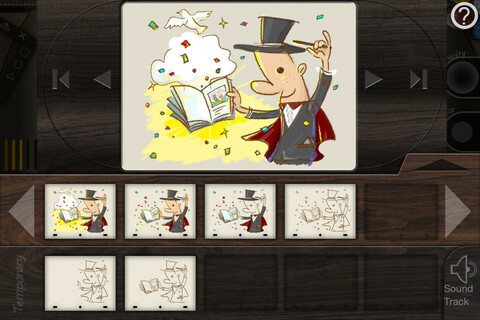 You create drawings page by page in the order you want. 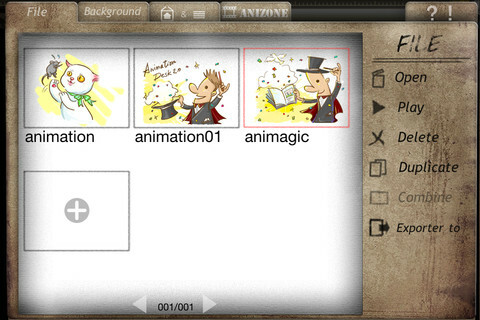 You get all the drawing tools from pen, crayon, eraser, three types of brushes to the bucket filler on the side bar. Also, now you can enjoy the color combinations of 44 realistic colors. You can zoom up to 300% for deeper details which is a must for a small screen of iPhone. 3 different layers are supported; foreground, middle ground and background for static and dynamic images. Editing tools like copy, paste, delete and additional features like audio support and stamp tools just take this animated journey to a whole new level. The interface of the app is beyond imagination as one would have expected from the developers. The moment you sign into the app, it takes you to a refreshing home page with lively graphics and glossy display. With smart navigation tools like thumbnail view for pages and a side slider page turning pages back and forth, the developer has successfully tried to remove all the space related constraints that could have possibly developed due to small iPhone screen. The developers have provided enough space for the users to showcase their talent via social networking sites like Facebook and you can even email them to your friends. A YouTube page ‘Anizone’ has also been created for the users to share their masterpieces with other players of the game. The app is priced at $2.99 which is like you are getting a house at the price of rent. But with special mention to the current offer, the developers have decided to sale the app for free for a limited time period from Aug 30th to Sep 3rd. Also, the developers are conducting the second annual competition called, iAniMagic and you can register for it on their site. And guess what, the grand prize is a brand new MacBook Air for the special talents. 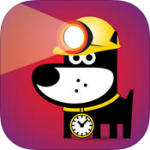 Good Puppy Dig – I Love this Pet !